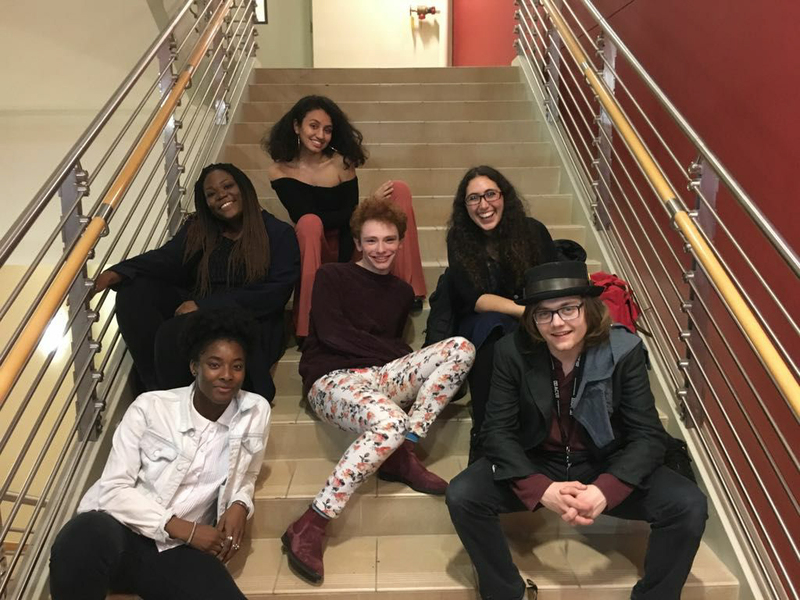 On April 4, Wesleyan’s slam poetry team, WeSLAM, set off to attend the annual College Unions Poetry Slam Invitational (CUPSI) at Temple University in Philadelphia, Penn. The team competed against 65 universities and colleges from all around the country, including other NESCAC schools, such as Tufts and Hamilton. In its team selection process, WeSLAM hosts a few preliminary slams here on campus, and those students who qualify then go onto the grand slam. The five people who score the highest at the grand slam become part of the team for that year, traveling to CUPSI as well as other regional competitions. At last year’s CUPSI, held at The University of Chicago-Illinois, there was controversy over the featured poet Marc Smith. Many attendees were offended by Smith’s poems, which they deemed racist and sexist, and walked out during his performance, CUPSI team coach Ariel Munczek Edelman ’20 recalled. Smith was eventually booed off the stage. After that incident, the organizers of CUPSI announced that the remainder of the weekend would no longer be a competition, and the final teams were not going to be scored. This year’s CUPSI was scored, and, according to Edelman, the atmosphere was significantly better. Joy Feinberg ’19 has also been to CUPSI before, unlike the rest of the team. She commented on the significantly increased diversity of this year’s event. Though not as dramatic, another important event did happen at CUPSI this year, involving Wellesley College. Wellesley College was one of four teams that made it to the final round, along with NYU, Stanford, and Virginia Commonwealth University. Wellesley poets, while in the finals, repeated some of the poems they had recited in the semi-finals. According to the competition’s rules, this is not allowed, and though the poems initially scored well, the scores were later eliminated. With the exception of Feinberg, all of the members of this year’s Wesleyan team were new and had never been to CUPSI before. Jack Warren ’20, another first-time member, agreed. Before traveling to Temple University for CUPSI, the team met twice a week for four to five hours. They spent time writing poetry, memorizing poetry, and practicing their performances. Edelman worked with the team on performance direction and editing. Feinberg and Edelman acted as the leaders of WeSLAM this year, as well as WeWrite, a weekly writing workshop where people can get together on campus and free-write. The two also work to bring poets to campus for writing workshops and lectures. Although Wesleyan’s team did not make it to the semifinal round this year, the team spent the remainder of the days hearing and enjoying the poetry from the other teams, as well as exploring Philadelphia. NYU was the winning team this year, but WeSLAM is already looking forward to next year’s CUPSI, and the team members offered advice for anyone who is looking to become involved in slam poetry. WeSLAM will be performing their poems on April 21 at 7 p.m. in Earth House, followed by a performance by Marwa Helal, an Egyptian American poet, journalist, and activist. The event will be WeSLAM’s last feature of the semester.